Start spreading the news, I’m leaving today, I want to be a part of it… but I’ve only got 20 bucks in my pocket. Fear not, you don’t need to be Frank Sinatra to have a great time in the Big Apple and you don’t need a huge budget if you know where to look. Here are twenty things to do for under $20 in New York. We’d love to hear your own tips in the comments. On weekends during the summer months, take a free ferry ride to Governors Island and explore a slice of New York history. Colonial administrations from the Dutch onwards left their mark on the island, which was later used by the US military and coast guard. The city isn’t quite sure what to do with the resulting array of grand houses and forts, but this is currently one of the most charming relics left in the city. Twice a year, the jazz age lawn party ($15) brings back the world of Jay Gatsby and friends. On other weekends, you can spend your $15 on a bike for two hours. Throw in art installations, mini-golf and an after-dark cocktail bar and you have a great place to spend a cheap summer’s afternoon. The Governors Island ferry departs from the Battery Maritime Building located at 10 South Street, next to the Staten Island Ferry in Lower Manhattan. The Immigration Museum on Ellis Island will give you a taste of what life was like for immigrants arriving in New York under the gaze of the Statue of Liberty. A 45-minute audio tour immerses you in the life of a new arrival, while exhibitions provide more in-depth background about the founding of modern America. It’s free, as is the ferry to the island. 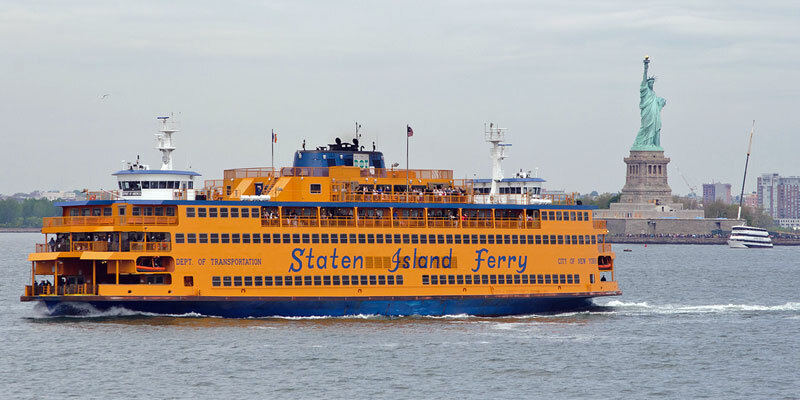 The 8km, 25-minute ride on the Staten Island Ferry (siferry.com) is free and offers perhaps the best views of New York Harbor. 20 million people take the trip each year, enjoying the views of the Statue of Liberty, Ellis Island and Manhattan’s skyscrapers… or simply burying their heads in the newspaper before a long day at work. New York isn’t just about Manhattan. The IKEA ferries run from Wall Street’s pier 11 to IKEA Red Hook in Brooklyn and are free at weekends. During the week the journey costs $5 each way but if you present a $10 IKEA receipt the ride back to Manhattan is free, or if you present your ferry ticket at IKEA they’ll deduct $5 from any purchase of $10 or more (easily achieved with some meatballs, jars of herring and mini Dime chocolates). The ferry runs from 2pm on weekdays and 11am at weekends. “Band-shell” as opposed to “Hades for musicians”, this is a beautiful stage in Prospect Park where you can catch free concerts during the Celebrate Brooklyn! Performing Arts Festival (June to August). Back in the 1940s, New Yorkers would enter jitterbug, waltz and foxtrot contests at the bandshell, nowadays they just prefer to sit and enjoy music in the open air. Once upon a time, intercity train lines ran through Manhattan’s West Side at street level. This was dangerous. People died. The local rail company employed “West Side Cowboys” to ride horses and wave flags in front of the trains. People still died. So 21km of the railways were hoisted into the sky and the accidents stopped. Fast forward to the 1950s and interstate trucking had reduced the role of the American railways in moving freight around the country. The High Line fell into disrepair and parts were demolished. After a prolonged campaign by a couple of local residents, the remaining sections have been gradually opened as a nature reserve that is free for the public to enjoy. This is a wonder of modern urban regeneration and a must-see NYC stop-off. You will have to pace yourself or your $20 bill will be gone before you can say “cover charge”, but there are so many classy rooftop bars in Manhattan that you really should try at least one. Plunge at the Gansevoort Hotel in the Meatpacking District is exclusive and glitzy with great views of the city, the Private Rooftop and Garden at the Gramercy Park Hotel is exclusive and glitzy with great views of the city, the Peninsula Hotel’s Salon de Ning is exclusive and glitzy with great views of the city, Le Bain is exclusive and glitzy with great views of the city and a pool… you get the idea. $20 should stretch to a beer or glass of wine at any of the rooftop bars, but remember to put something aside for the obligatory tip. Check Time Out to find out what is hip this week. One of the nicest rooftops in town can be found at the Met Museum (pictured), which also has a bar. If flashy rooftop bars aren’t your thing, a trip to the Kent Theater at 170 Coney Island Avenue could be in order. At one of the last remaining old-school movie theatres in Brooklyn, the floors are famously sticky and you’ll probably want to give the bathrooms a miss but the tickets rarely cost more than six dollars and there is something authentic in the air. Or perhaps that’s just dust. Suggested donations are just that: a suggestion. If you are happy to ignore the suggested donation at the Metropolitan Museum of Art (metmuseum.org), the American Museum of Natural History (amnh.org) – and from 5.45pm to 7.45pm Saturdays, The Guggenheim (guggenheim.org), you can enjoy the works of legendary painters for pennies. Hey, most of the artists were broke too, so don’t feel bad about it. Nathan’s Hot Dogs at Coney Island organises a legendary hotdog eating content on July 4th each year, which is televised nationwide. You can enjoy one of the succulent sausages year-round for well under $10. What could complement a hotdog like a game of baseball? Watching the big league baseball teams can be expensive but, just one block away from the amusements at Coney Island, you can catch a Brooklyn Cyclones game for less than $10 and get into the spirit of minor league baseball. There are fireworks each Friday and Saturday. Pier 25 in Tribeca is a part of a $100million rejuvenation project for the piers of Battery Park City. You can play crazy golf (just $5 which goes to charity), football or volleyball. Get your skates on at the skate park or enjoy the exhibits that come and go from the pier. 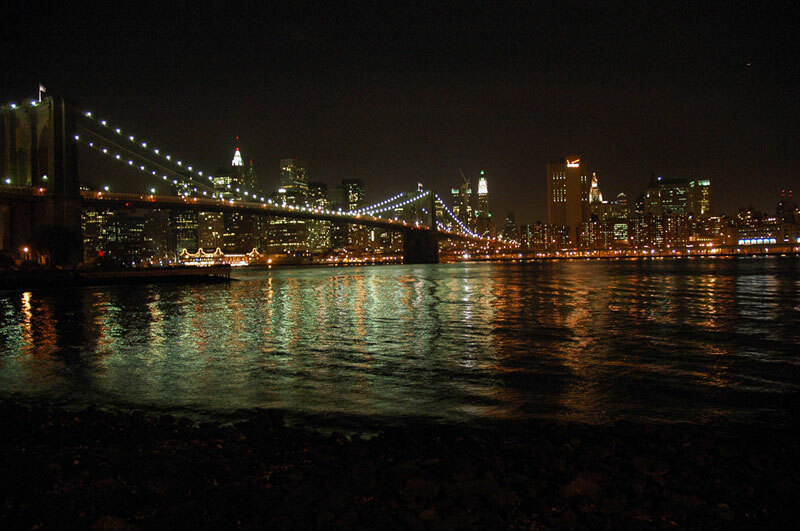 Another way to enjoy iconic views of Manhattan is to walk across the Brooklyn Bridge. There is a dedicated pedestrian walkway above the traffic but, if you are wearing high heels, watch out for the small gaps between the planks. And don’t forget your camera! The Grand Tour around downtown Manhattan is free and includes insider knowledge from urban historians Justin Ferate and Peter Laskowich. 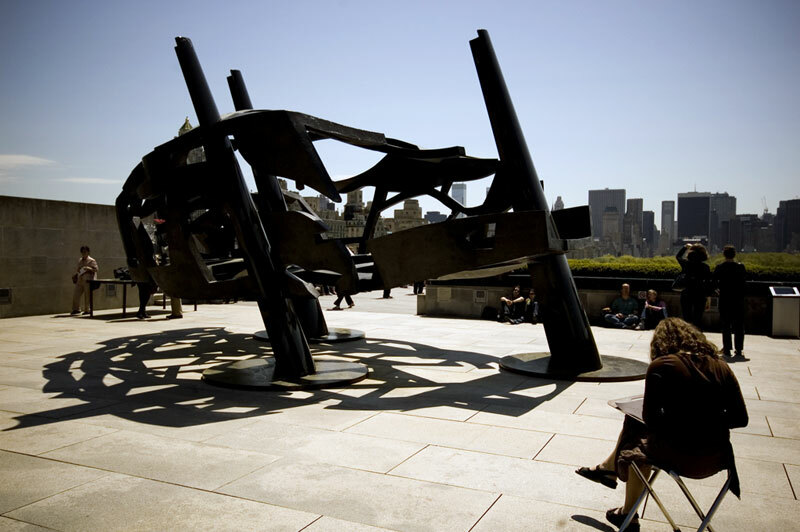 The Grand Tour meets Fridays throughout the year at 12:30pm in the sculpture court at 120 Park Avenue (grandcentralpartnership.org). You can take an audio tour of Grand Central Terminal for just $7 – look for the “GCT Tours” windows on the main concourse. The New York Public Library offers free tours every day of the week, although the library is closed on Sundays in the summer. There are various tours of Chinatown available. Ask at your school for recommendations. If you are hungry, Joe’s Shanghai offers legendary dim sum! Downtown Boathouse is a non-profit organization that offers free public kayaking programs in the harbour waters. 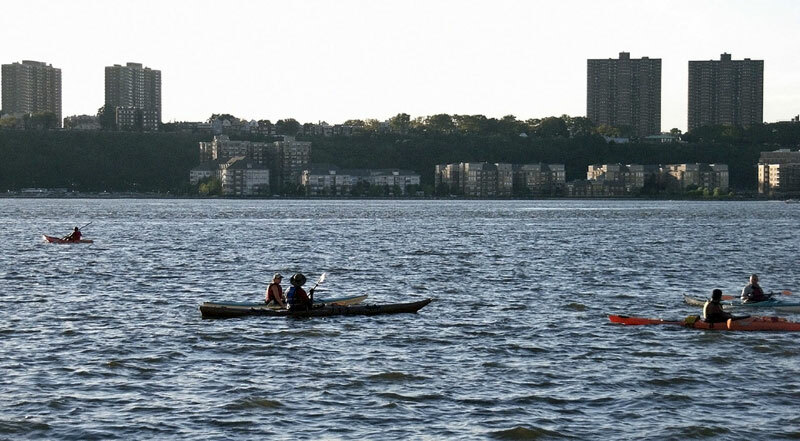 Simply turn up at one of its bases at Pier 40, 72nd Street or Pier 96 with a bathing suit, sign a waiver and you will be provided with a life jacket, a kayak, a paddle and some tips on paddling. There are short trips around the piers or longer trips for more experienced kayakers. See downtownboathouse.org. From April to October, The Loeb Boathouse (thecentralparkboathouse.com) in Central Park is open daily. The sun-dappled lake is a romantic place to go rowing as a pair, or the ideal place to paint splendid watercolours of couples romantically rowing. Boat rental is $12 per hour plus a $20 deposit. You don’t have to buy anything at Union Square Greenmarket, but after trying some of the many free food samples available from the 140 regional farmers, fishermen and bakers who set up stalls each Monday, Wednesday, Friday and Saturday, chances are you will end up with a bag full of tasty produce! Long before Urban Outfitters started selling second hand clothes at a huge mark-up, New York’s flea markets have offered authentic bargains from the city’s drawers, garages and wardrobes. Since 2008, Brooklyn Flea (brooklynflea.com) has become one of the city’s finest places to pick up vintage (and new) clothes, antiques, jewellery, music and knickknacks. Check out the website for current locations as it moves with the seasons. Every August, the New York International Fringe Festival brings a huge range of performances to venues and streets across the city. This includes everything from dance to drama, poetry readings to comedy nights. Tickets for each event are under $20 and sell out fast. Tuesday evenings at 8pm, students and alumni of New York’s legendary music school give a free hour-long concert in the striking atrium of 180 Maiden Lane. 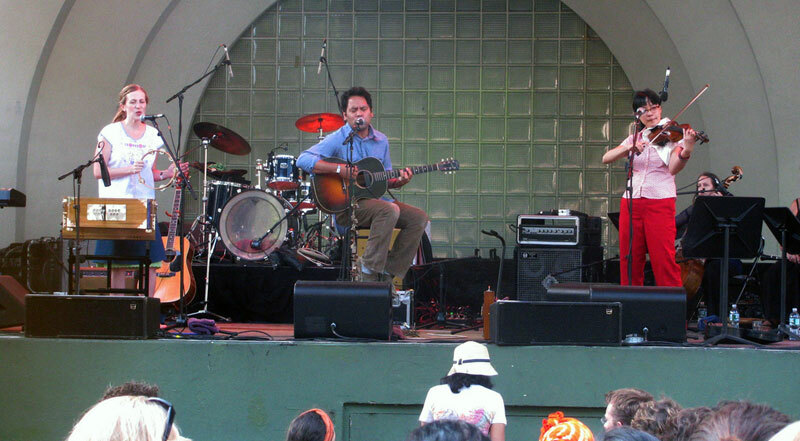 Beautiful music in beautiful surroundings. The Slipper Room at 167 Orchard St is New York’s number one burlesque venue. Tickets are usually between $10 and $15, which leaves enough change from your twenty for a beer to enjoy while watching acrobatics, magic and a bewildering array of corsets. At 133 Canal Street in Chinatown, The Mahayana Buddhist Temple is an oasis of calm in the bustling city. With a $1 donation, you can don a robe and search for inner peace. 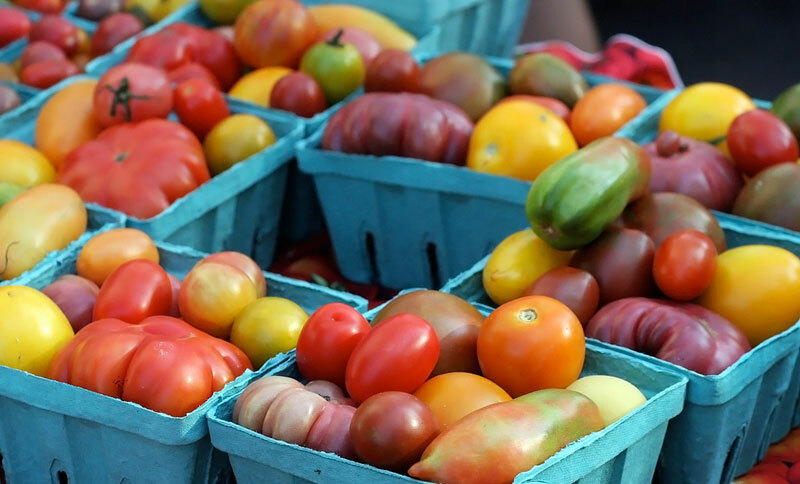 1,2,3,4… wow, that’s 24 cheap or free things to do in New York City! During an English course in New York you can enjoy all of this and much more, while rapidly improving your English language skills and making friends in one of the world’s great melting pots. Contact us for more information about our range of courses and share your New York experiences in the comments section. Thanks to New York resident Alex Troesch for his help with this article. What are the new changes to the Working Holiday Visa in Australia?